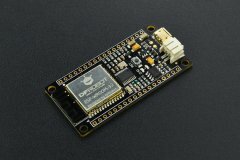 FireBeetle Board-ESP32 has made a special hardware design for Arduino IDE. You can make a download without switching booth-mode manually. It supports Arduino, IDF (linux), micropython etc. Moreover, FireBeetle made a pin mapping for Arduino IDE. It can be configured with Dx transport, compatible with UNO and reduce the entry barrier. The small size and high performance makes FireBeetle become idea solution for IOT low power consumption projects. Please kindly note that developers are the most common users of FireBeetle Board-ESP32 and not all of the peripherals have examples for reference, and there are still some bugs being found and fixed. For Arduino IDE, all GPIO function, I2C/SPI communication has been working. But the other functions are still under development. We recommend this board for experienced engineer.